This post is all about sweet potatoes! When I lived on the eastern side of North Carolina, I discovered that our state is the largest sweet potato producer in the country! There are a lot of different varieties of sweet potatoes that I did not even know existed. To make my recipes for this post, I used two orange flesh potatoes. The Covington is a North Carolina sweet potato variety that becomes sweet and caramelizes when it is baked so it is great in desserts and even side dishes. It is orange on the outside as well as inside. I used two yellow flesh sweet potatoes in my recipes. These were new to me using so it was fun to learn about them. The Boniato or Star Leaf has Latin/Caribbean roots and can be used for pizza toppings, taco filling, soups stews or even desserts. It reminded me of a plantain. The other one that was yellow inside was a Japanese sweet potato. By looking a the purplish red skin, you would never know that it would have a dryer, yellow inside. It may remind some people a little of a chestnut. If you are wanting to learn more about sweet potato varieties, here is a great description of some of them. Not all of the ones that I used are in this primer from the Saveur Website. 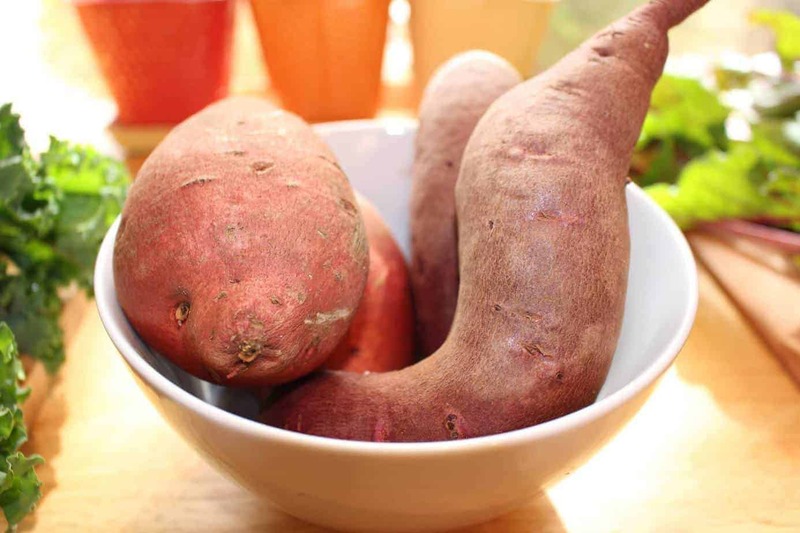 There is a lot of confusion about the difference between sweet potatoes and yams. I love the explanation is the post below from the NC Sweet Potato Commission. Their website also has lots of wonderful recipes also if you are looking for some new ways to prepare them! Sweet potatoes are high in fiber, potassium, vitamin A and C. Here are the recipes that I put together that I hope that you enjoy as much as me and my family do! They are in the same family as the morning glory and they are a tuberous, root vegetable. Lots of color and flavor plus it is easy to put together. 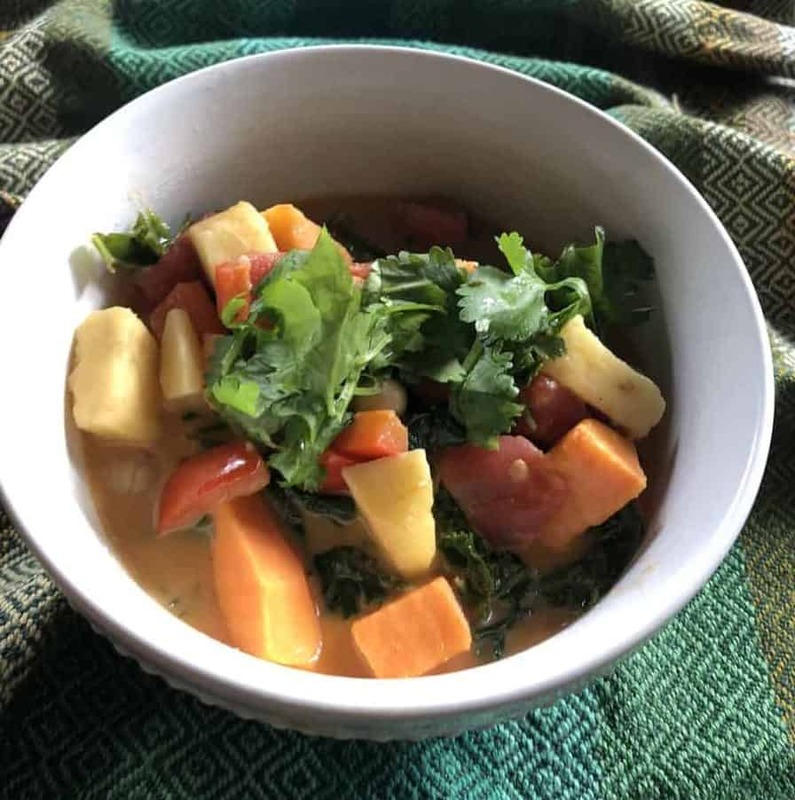 I love the fresh taste of the cilantro and lime juice with the sweet potatoes and other vegetables along with the spices to make this soup. Chickpeas add a boost of protein to the veggies. In a large stock pot, heat olive and saute’ sweet potatoes until they are starting to soften. Add bell pepper and allow them to soften and throw in green onion. Add spices and allow to cook for a minute or two. Add coconut milk, beans and tomatoes. Until simmer for about 15 minutes and then add kale until it cooks slightly. Allow soup to simmer another 5 minutes. Add rice to the bottom of bowl if desired and serve up soup over it. Add cilantro and peanut garnish if desired. Everyone will love this soup and it makes a great low fodmap dinner recipe! This salad is savory with a little bit of sweet and full of color! 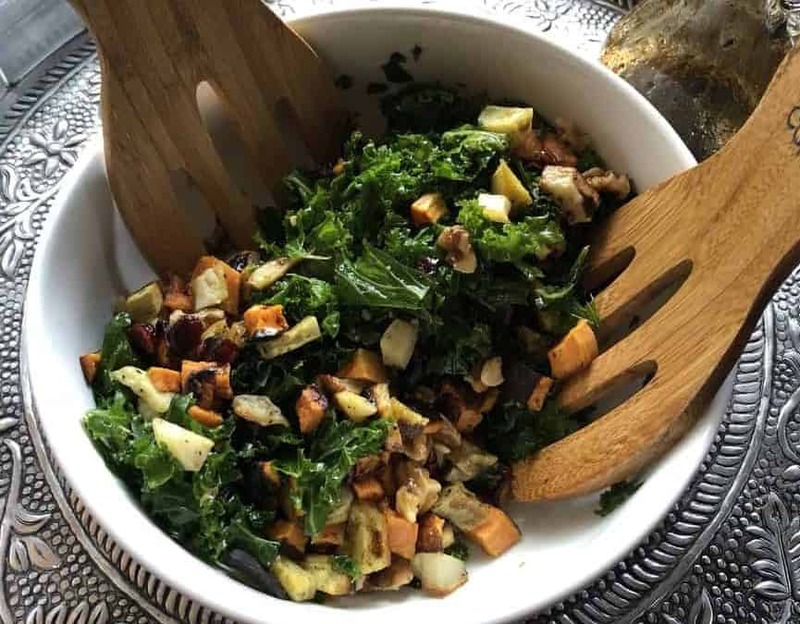 This kale and roasted vegetable salad is one of my fall favorites! It is colorful and full of flavor! 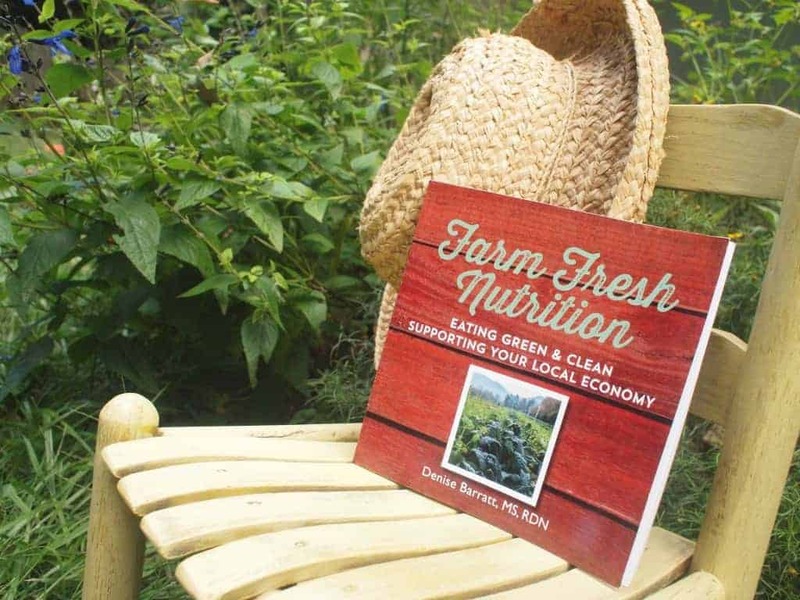 I have another delicious variation in my book Farm Fresh Nutrition. 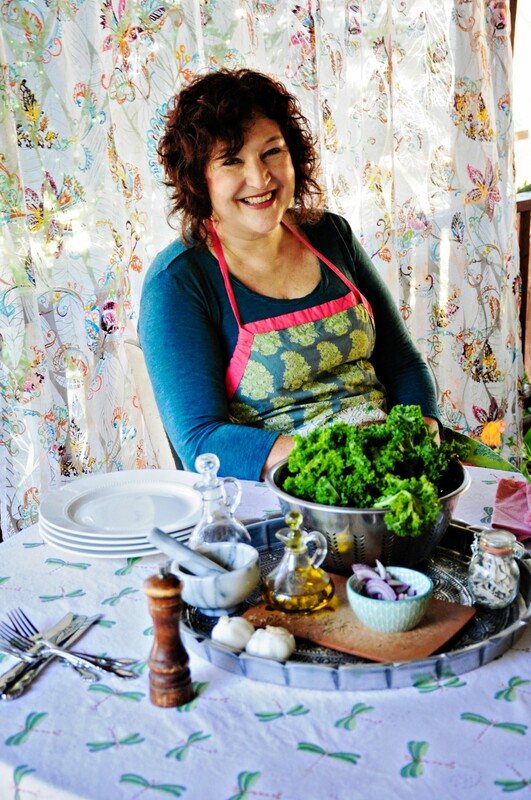 In a large salad bowl, prepare the kale. To roast sweet potatoes cubes, preheat oven to 400 degrees. On a baking sheet, add sweet potatoes and salt and pepper and drizzle with olive oil. Bake for around 10 minutes until the vegetables begin to brown and caramelize. Take out of oven and let cool. 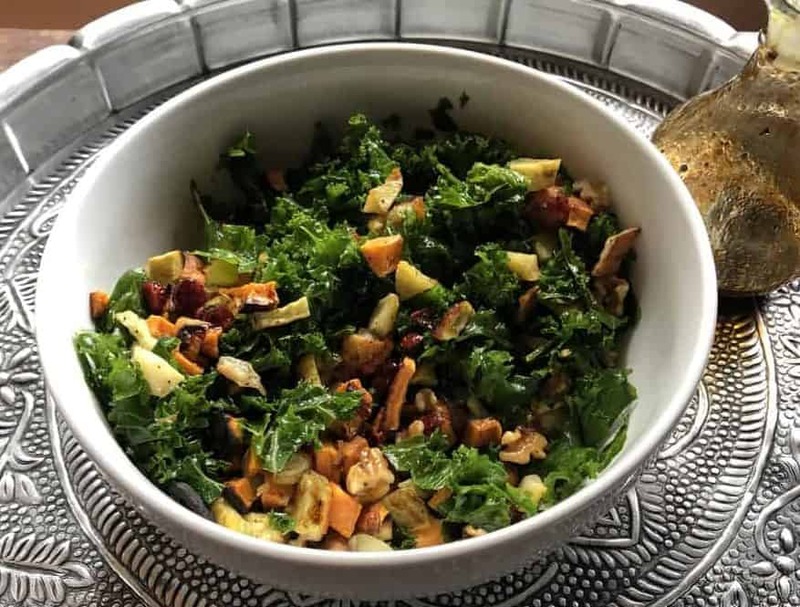 Add the roasted sweet potatoes to the prepared kale along with the walnuts and cranberries. Toss lightly with the balsamic dressing and toss with grated cheese if desired. The latest Thanksgiving Dessert! 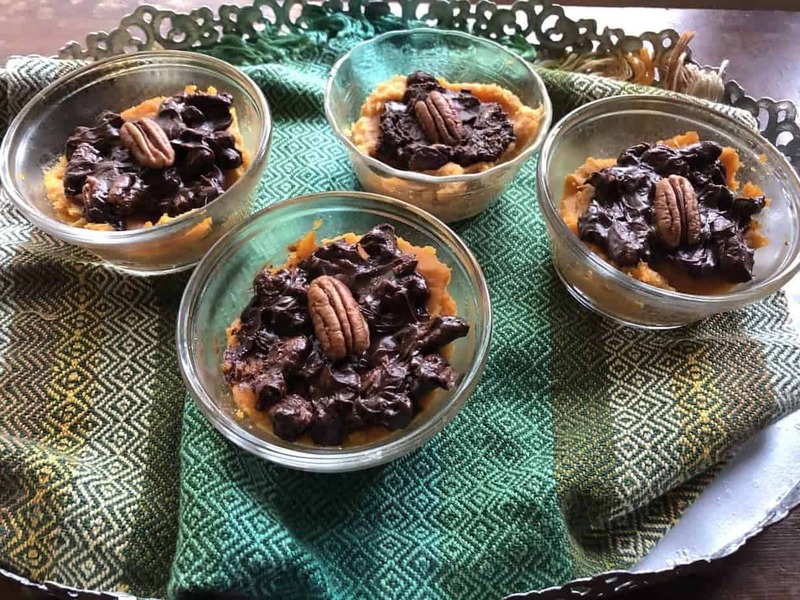 Sweet potatoes, chocolate and pecans! Combine sweet potatoes with maple syrup and salt. Spoon sweet potato mixture into 4 small white, ramekins that have been lightly greased. For topping, melt the chocolate bar on low with the vegan margarine and stir in the pecans. Gently spread the chocolate pecan mixture over sweet potatoes. Decorate each ramekin with a whole pecan on top. Bake at 325 degrees for 5-10 minutes to just set the sweet potato mixture with the chocolate and toast the pecan. After cooled, add a little dollop of whipped cream as a garnish. These cakes made with cauliflower, sweet potato and kale are delicious and even more so with the Avocado Tahini topping! I hope that this post provides just the recipes and information that you need to make sweet potatoes one of your weekly staples. They are delicious, nutritious and economical which is a winning combination! 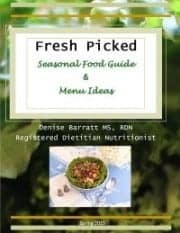 As a registered dietitian nutritionist living in Asheville, NC, I enjoy sharing delicious recipe and menu ideas to help you stay healthy and have something that you will enjoy eating! Check out more recipes on the Vine Ripe Nutrition blog! Check out my video below where I make some of these tasty recipe ideas! Easy to prepare, good for you and tasty, what is not to love with NC Sweet Potatoes.